Fort Lauderdale is a substantial city well-developed city. Indeed, it has numerous restaurants and bars as well as 12 shopping malls. Moreover, it is only 23 miles from Miami and all that city has to offer. Thus, there is a lot to see and do. Fort Lauderdale has long been known for its beaches. 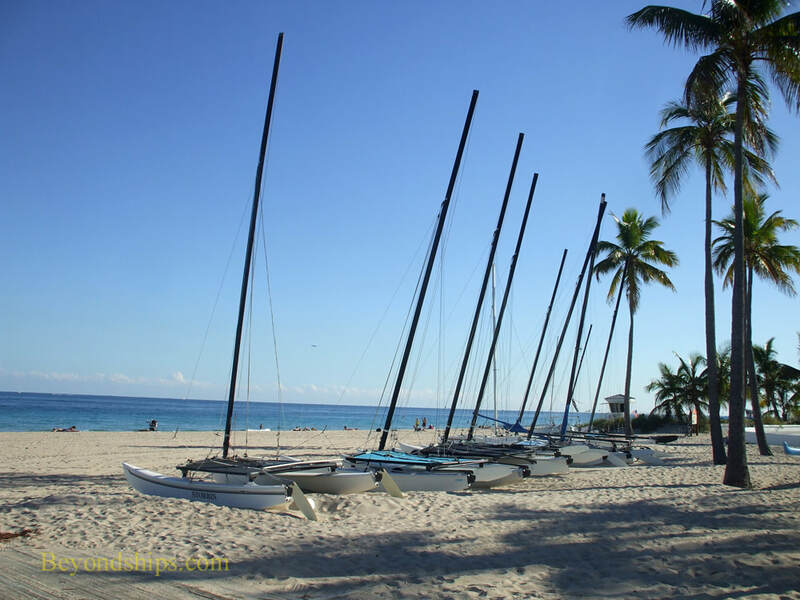 There are 23 miles of beach in the greater Fort Lauderdale area, seven miles within the city itself. 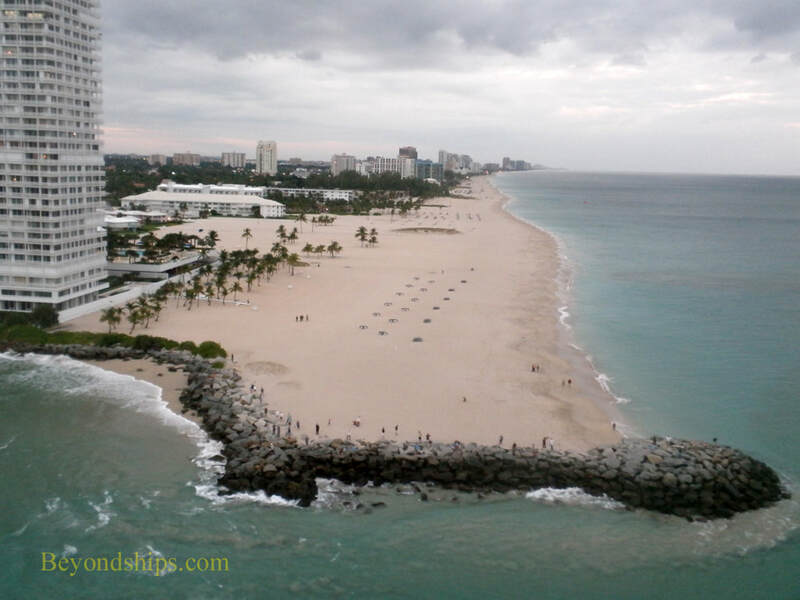 The main beach within the city is known as Fort Lauderdale Beach. At one time, Fort Lauderdale' Beach had a reputation as a seasonal attraction that was where thousands of college students came to celebrate Spring Break. In the 1980s, the city decided to change that image and become a more upmarket destination. $26 million was spent renovating the beach, landscaping, changing roads that border the beach, expanding sidewalks and creating a beach front promenade. 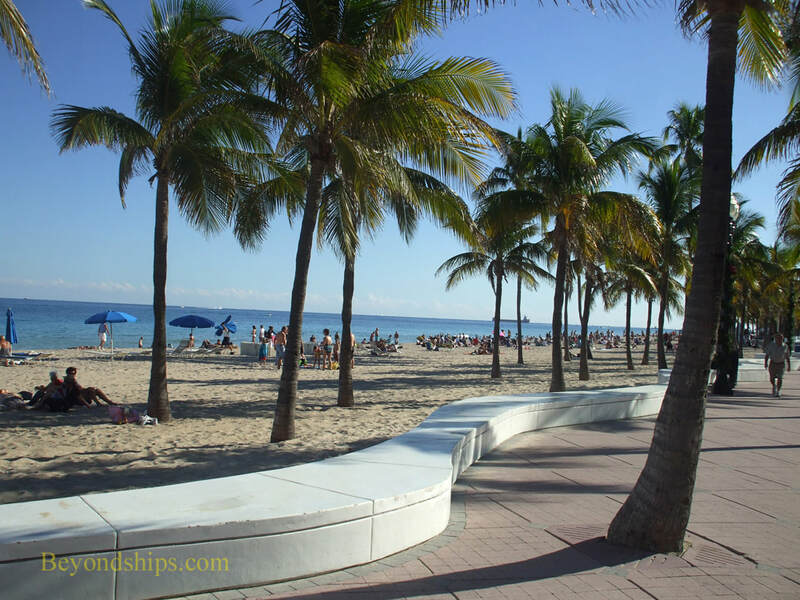 It also constructed a “wavewall,” a curving wall that runs for two miles along the central section of Fort Lauderdale Beach. The transformation was successful and Fort Lauderdale Beach has become a year-round attraction. It is nicely landscaped and has won awards for its cleanliness. The beach is within walking distance of restaurants, sidewalk cafes, hotels and the chic shops along Las Olas Boulevard. The stretch of Fort Lauderdale Beach from the South Beach Picnic Area up to and including the beach in front of Hugh Taylor Birch State Park has lifeguard towers. In addition to swimming, visitors engage in activities such as volleyball, windsurfing, jet skiing, and boating. The Riverwalk has become Fort Lauderdale's cultural area. In the 1980s, Fort Lauderdale decided to enhance its city center with a park along the New River, which flows through downtown. $7.4 million was allocated for the park. The result was a green space running along both sides of the river with tropical landscaping. At the same time, another $8 million was spent to construct a museum by the Riverwalk that would become its Museum of Discovery and Science. The initial investment has since gnerated $1.5 billion in public and private investment along the New River. In the Riverwalk district is the Broward Center for Performing Arts, which presents cultural programming and events. Also in the vicinity is the NSU Art Museum, which has a collection of some 6,000 works focusing on modern and contemporary art. The Fort Lauderdale Historical Society operates a campus of museums in downtown including three historic buildings from Fort Lauderdale's early days. The shops, cafes and restaurants of Las Olas Boulevard are also close by. Fort Lauderdale has been called the “Venice of America” because there are some 165 miles of waterways running through the city. Mansions and expensive homes lie along sections of the canals and impressive yachts are often moored along the waterways. As a result, a popular thing to do is to take a tour boat or water taxi around the canals. Inland from Fort Lauderdale is the vast Everglades swamp. 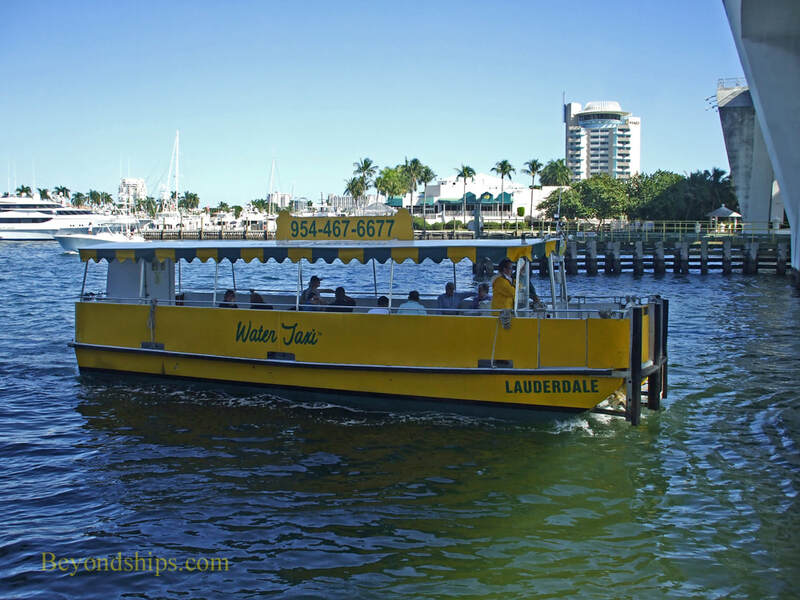 Cruise ships rturning to Fort Lauderdale often offer airboat tours of the Everglades as post-cruise excursions. In addition to the excitement of riding an airboat, there is the possibility of seeing wildlife including alligators and panthers. 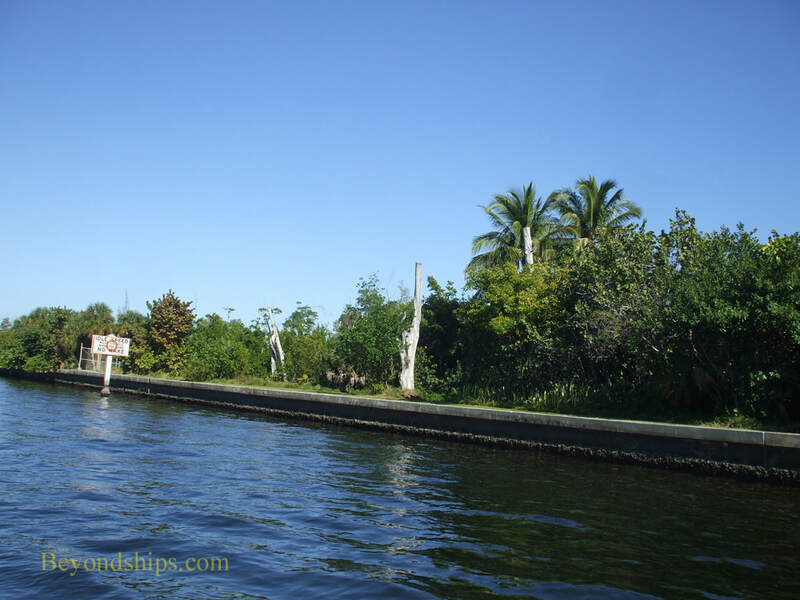 There are also a number of parks within the greater Fort Lauderdale area where you can see nature. The Dr. Von D. Mizell – Eula Johnson State Park is on the barrier island that separates Port Everglades from the sea. 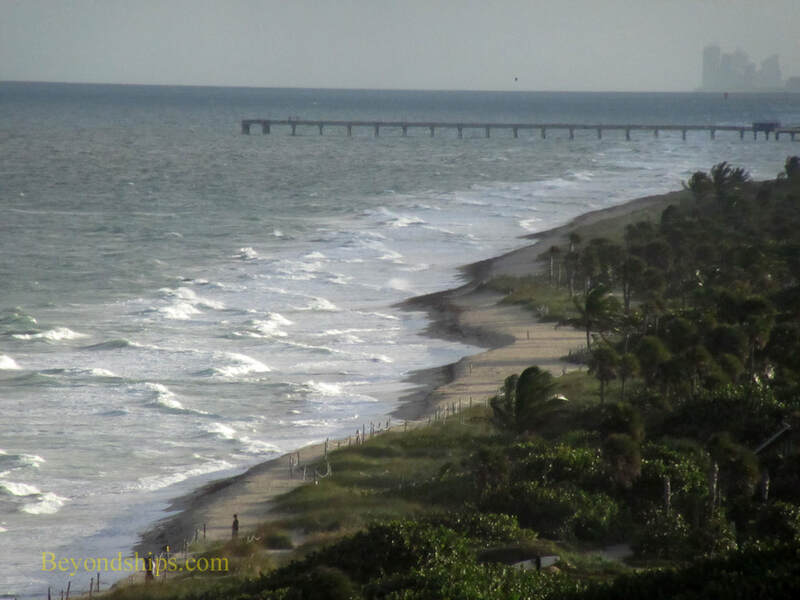 Further north by Fort Lauderdale Beach is Hugh Taylor Birch State Park It is the former estate of Hugh Taylor Birch, a successful Chicao attorney who came to Fort Lauderdale in 1893 and purchased a long stretch of the coast. Donated to the state in 1941, the park includes a beach, nature trails as well as a magrove lake. Next to the Hugh Taylor Birch State Park is Bonnett House and Gardens. Hugh Taylor Birch gave this property to his daughter when she married artist Frederic Clay Barlett . The house that they constructed is now open to the public. It is known for its art and decoration. The grounds include gardens as well as areas left in their natural state including dunes, mangrove wetlands and maritime forest. Above and below: Fort Lauderdale Beach. 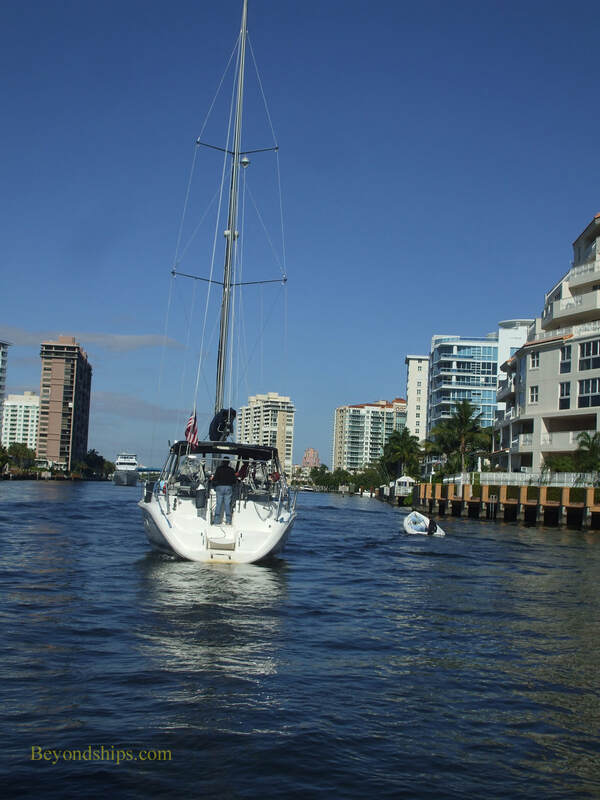 Above: Fort Lauderdale has a network of canals and waterways that are home for thousands of boats and yachts. Below: A favorite way of exploring the canals and getting around is by water taxi. ​Above: Dr. Von D. Mizell – Eula Johnson State Park. Below: Part of the Hugh Taylor Birch State Park along the Intracoastal Waterway.